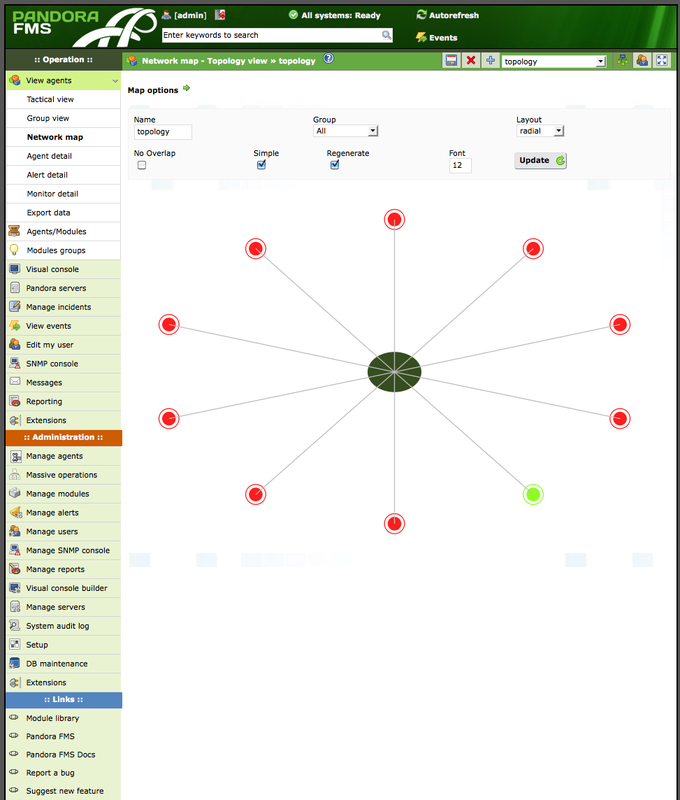 Pandora FMS (Pandora Flexible Monitoring System) is a capable network monitoring solution that is open source and free. Download a Pandora FMS appliance (ready-to-use virtual machine). Login using username root, password pandora. Type ifconfig in the terminal window to learn the IP address of the appliance (look for the eth0 interface and inet addr:) For many home-, small businesses networks this is something like 192.x.x.x. Use your favorite web browser and type in the IP address from step 5. Login in using username admin, password pandora. Now you're ready to use Pandora FMS! Before any devices will show up for monitoring, you need to create a network discovery task (process). Click on Create to create a new discovery task. Network: enter an network address corresponding to your IP address in step 5 in previous section. Let the system run for at least a few minutes, to have time to discover some network devices. Click on View agents under Operations. 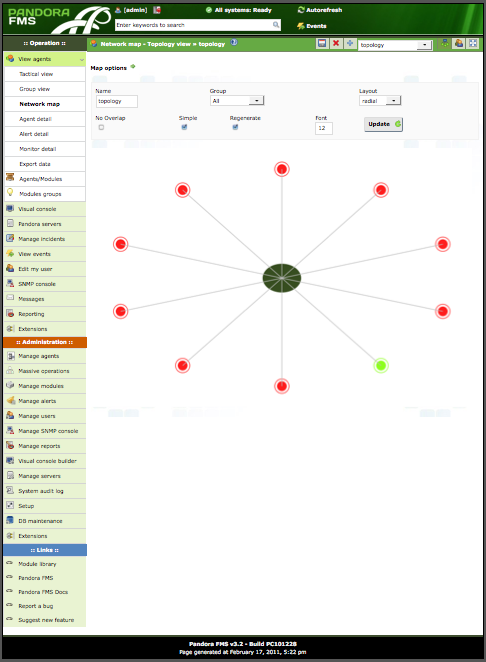 Click on Network map to view discovered devices. Click on devices to learn more. Now you can continue with figuring out all other features of Pandora FMS.